To help publicize the newly created TRATON Group, of which Volkswagen Caminhões e Ônibus is a part, six Brazilian VWCO employees take on the role of protagonists in the new campaign and also give their opinion about how they practice the values of the organization on a daily basis. The goal is to demonstrate commitment to the Global Champion strategy at all levels of the company. 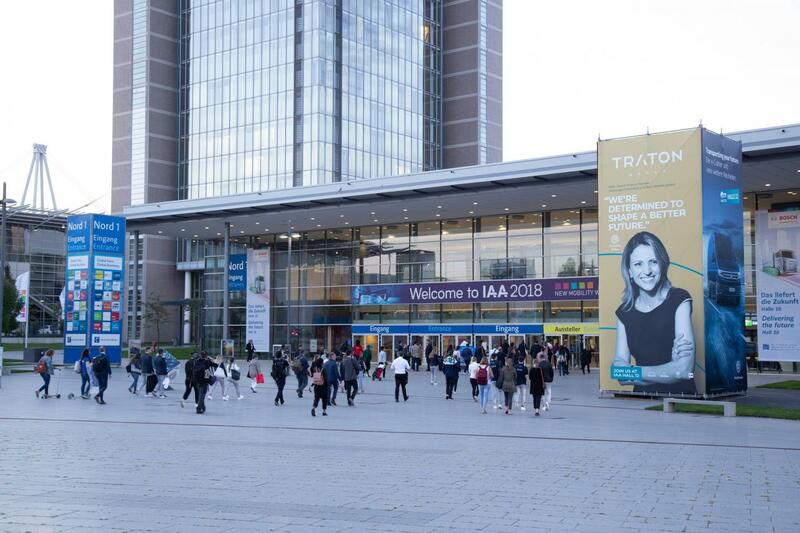 Livia Simões, VWCO Product Planning Manager, is one of the stars of this worldwide campaign and has had the opportunity to closely check an art with her photo at the IAA in Hannover. "It was exciting to see me as a representative of our company and also of the TRATON Group, in a banner of the height of a building reinforcing our determination to be the Global Champion, innovating and transforming the transport ecosystem, with the goal of improving the lives of people and build a better future", describes Livia, who also serves as ambassador for the new group. Since Augusto 30th, Volkswagen Truck & Bus AG has become TRATON AG, a young company with the unique character of a start-up and the extensive experience of its traditional brands: combination needed to re-invent transportation for future generations. • TRAnsformation of the ecosystem transport is our mission – for everyone’s benefit.• TRAnsportation is our and our customer’s passion.• TONnage is what our customers are moving around the world, every day.• TRAdition of our strong brands is what is grounding us.• Always “ON” is the ultimate goal of our customers and our attitude in order to make everything possible for them.